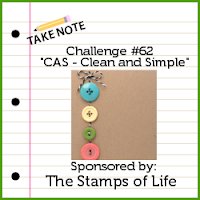 Today I'm playing with 2 CAS Challenges, Less is More - Circles and Wee Memories Challenge #62 - CAS! As you can see, this is a pretty straightforward design. 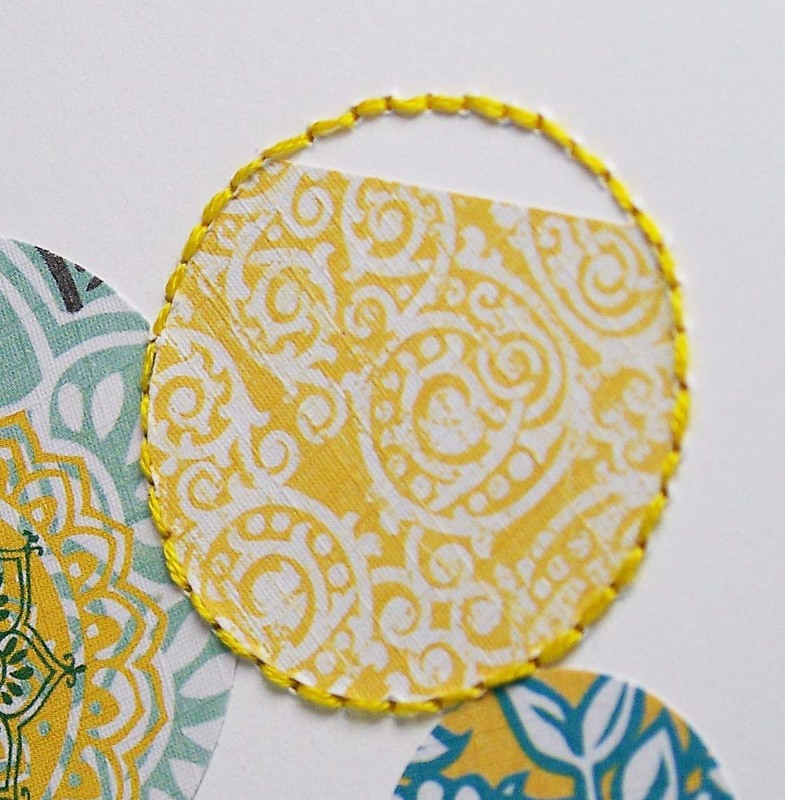 I started by punching various circles from one of my favorite patterned paper pads. The yellow in these papers is so yummy! To add a little interest and texture, I hand stitched around 2 of the punched circles with embroidery thread. To make the stitching stand out, I cut out a small bit of each circle. And the final touch is the sweet and simple sentiment. I stamped the sentiment with my new favorite ink Colorbox liquid chalk. I picked up a few ink pads down at the local Papersource and I can't get enough of it. 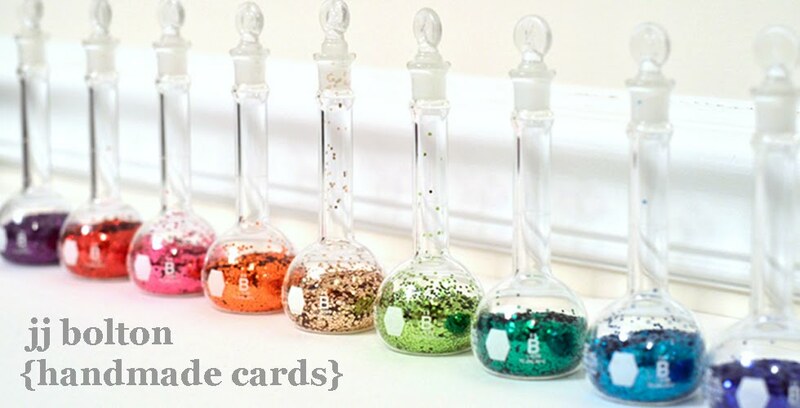 Get the kind with the white base, not the black base which are pigment. Sometimes I forget how much I love hand stitching! I love the texture and the imperfections of it. I'm so happy that I got out my needle and thread tonight! Thanks so much for looking! 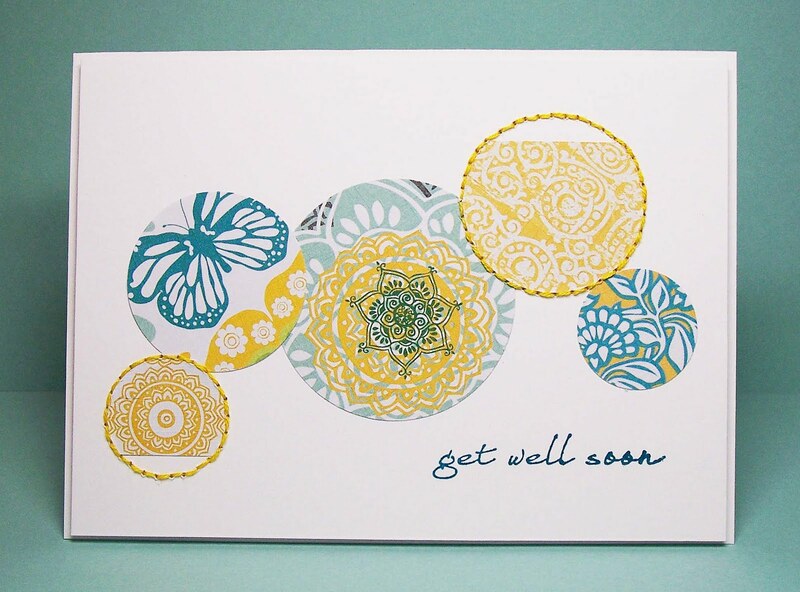 This is a great design and I love the colours of that paper... I thought as first that you had stamped it. Thanks so much for joining our challenge and I hope to see you again next time. 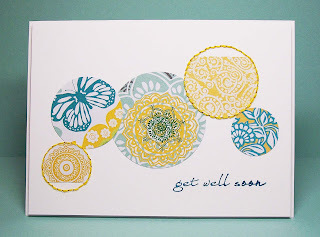 Fabulous job on the stitching...cute card!!! Your design rocks. 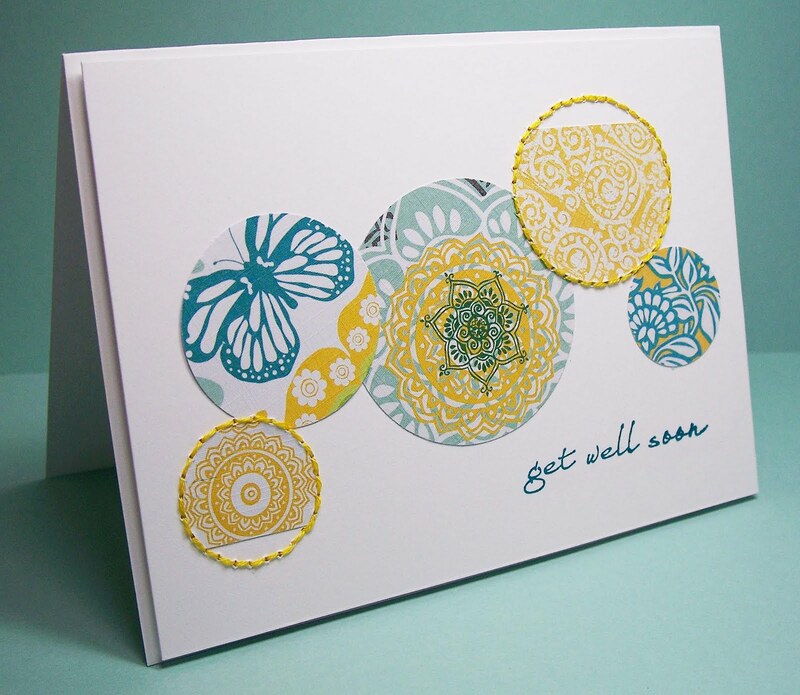 I love the stitching and beautiful color palette - lovely card! 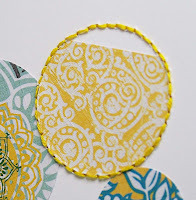 Thanks for playing with us at Wee Memories Scrappy Saturday Challenge!